Of all the roster moves made this offseason across the NHL, perhaps none will have a greater long-term effect on the team involved than the departure of Rick Nash from Columbus. The Blue Jackets captain for the better part of the past five seasons and a member of the organization since being drafted first overall in 2002, Nash has been the face of the young franchise for nearly a decade. He holds team records for games (674), goals (289) and assists (258). That's all over now, and the Blue Jackets are again left searching for an identity. After six months of rumors dating to the trade deadline, general manager Scott Howson made the deal official on July 23, sending Nash, prospect Steven Delisle and a conditional third-round pick in the 2013 NHL Draft to the New York Rangers in exchange for forwards Brandon Dubinsky and Artem Anisimov, defenseman Tim Erixon and a first-round pick in 2013. "This trade brings us the right balance we were seeking in any trade for Rick: a balance between helping the team now and helping the team in the future," Howson told the Columbus Dispatch. In his response to criticism of the return for Nash, Howson has reiterated that the organization was building for the future. After finishing with 65 points and a minus-60 goal differential in 2011-12, it's no surprise Howson wants to look forward. In addition to Nash, multiple offseason roster moves mean the Columbus of 2012-13 will look far different from seasons past. 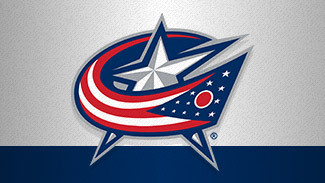 The Jackets started in the crease, acquiring the young and promising Sergei Bobrovsky from the Philadelphia Flyers in exchange for three draft picks on draft day. Howson said Bobrovsky, who was 42-23-10 in two seasons with the Flyers, will fight incumbent Steve Mason for the No. 1 spot. "We don't have a No. 1," Howson said. "We will be more than happy to go to training camp -- if that's all we do -- then those two will fight it out to see who gets the most playing time, and I think that's a great competitive situation for our hockey team." Columbus then grabbed Ryan Murray, a defenseman experts agree was the most NHL-ready prospect at the position in this class, with the second pick of the 2012 NHL Draft. Murray's no roster lock, however, as Columbus has assembled a deep and talented defense. In addition to Erixon, the Jackets re-signed leading blueline scorer Nikita Nikitin to a two-year deal and added veteran Adrian Aucoin on a one-year contract, likely in a mentor role for Columbus' stable of up-and-coming rearguards. When you add top prospects David Savard and John Moore to that growing list of talent, Murray's inclusion is no guarantee. "(Defense) is certainly the strongest part of our team, and I think it's crucial to win in the NHL from the back end out," Howson said on draft day. "We added a goalie today, so hopefully we're getting a little sturdier in the defensive zone and in defending. Now we're going to have to address how we score." Goals were a problem all season for Columbus. The Jackets finished 26th in the League with 2.42 goals-per-game, and losing Nash – in addition to Jeff Carter's trade to the Los Angeles Kings at the trade deadline – means Columbus is likely to start the season with no 30-goal scorers on its roster. Howson spent the summer replacing those prolific scorers with grinding forwards who possess potential for breakout years. 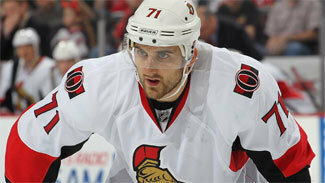 He shipped Marc Methot to the Ottawa Senators in exchange for Nick Foligno, who had 15 goals and 32 assists playing mostly on the third line in 2011-12 during the regular season. He should see action in the top six in Columbus, as will Dubinsky and Anisimov – two-way forwards with size and skill who struggled to score last season. The Jackets also signed Jonathan Audy-Marchessault to a three-year, entry-level deal. He was undrafted, but scored 24 goals and 40 assists for the Connecticut Whale of the American Hockey League last season. The major question mark remains one of leadership, as Nash's departure leaves the franchise without its captain. Jack Johnson, the dynamic defenseman who came over in the deal that sent Carter to the Kings, was a positive locker-room presence as rumors of the Nash trade swirled. Johnson then captained the U.S. team at the World Championships in Sweden. Key defenseman James Wisniewski is also respected among teammates, and alternate captains R.J. Umberger and Vinny Prospal are candidates. No matter who dons the "C" for the season opener, they'll lead a team that can only improve on its lackluster 2011-12 campaign.